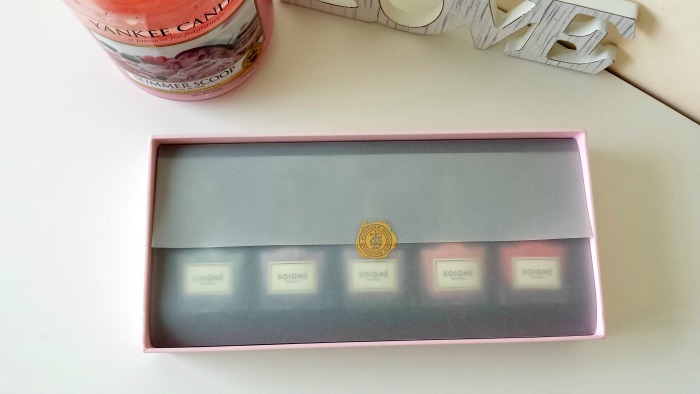 L to R - Pistache, Lavande, Caramel, Fruit De La Passion & Petale De Rose. So I refuse to believe the Summer is over. 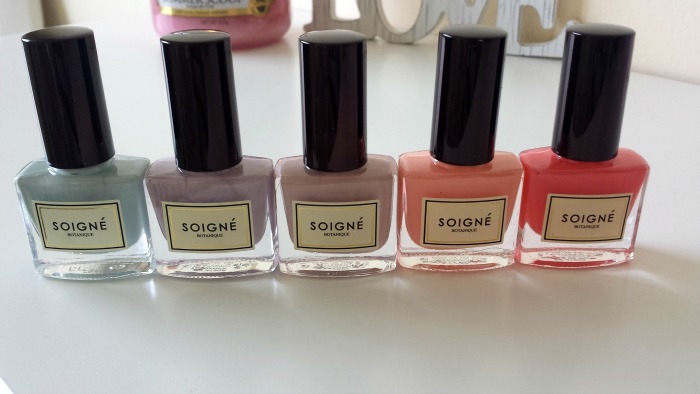 I reckon (hoping) we have another few weeks of good weather ahead of us, so I thought I'd share this beautiful summery nail polish collection from Soginé Botanique, that I was lucky enough to win in a Facebook competition during the Summer. 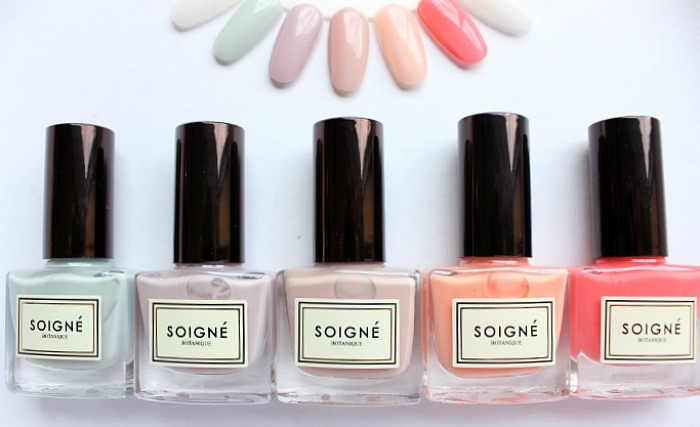 Soigné are pretty new on the nails scene, but have quickly made themselves well known for their beautiful, classy packaging and their signature bottle shape. Their website isn't even up and running yet, but they are already being well talked about. 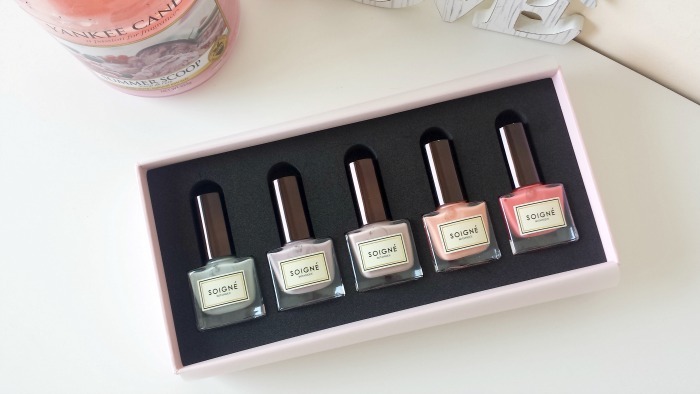 This is the 'Macaron' Collection, one of their sets, which includes 5 beautiful summery pastel shades. The formula of these nail polishes is so dreamy. The brush is a nice size, they apply beautifully & only need 2 coats for an opaque finish. I love all 5 shades in this collection, but I think my favourite has to be Caramel. I'm looking forward to seeing what else Soigné come out with in the future. 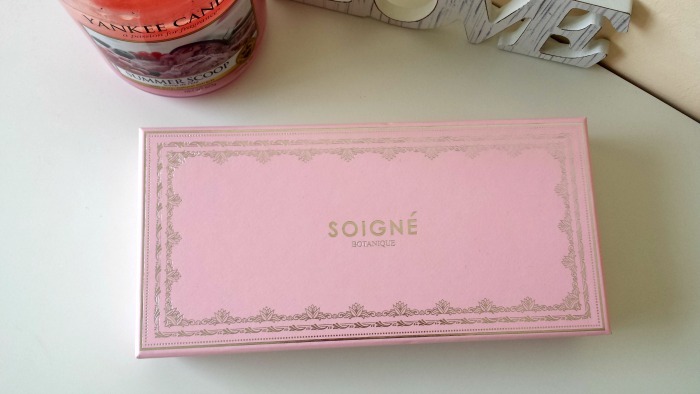 Have you tried anything from Soigné?